For 14 years, Alejandra Diaz has served the children of Dorie’s Promise and helped shape our vision for orphan care and orphan prevention. Her dedication has created a home where children feel loved and are given support as they heal and thrive. 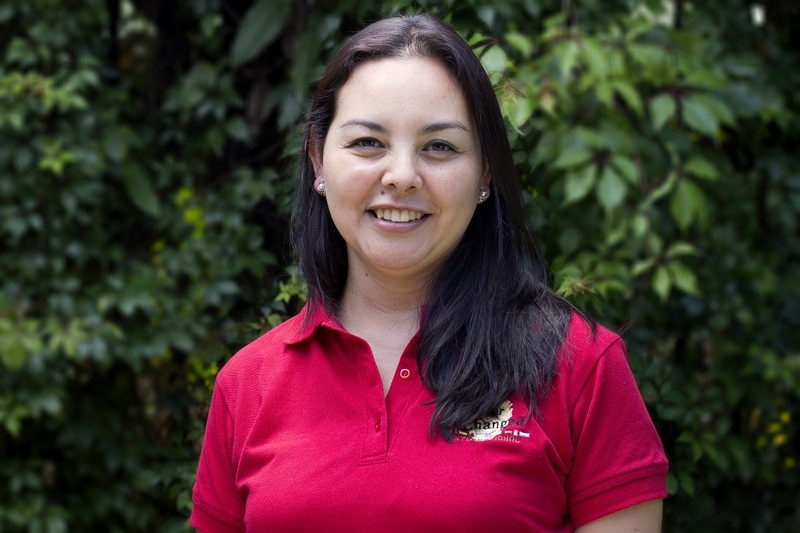 During her tenure, Alejandra has witnessed major changes within our home and the family court system in Guatemala. During her first 3 years, our home was a hub for children awaiting connection with their adoptive families. She witnessed the bravery and pain of biological parents as they relinquished their parental rights, as well as the joy of adoptive families being united with their children. Understanding the full history of Dorie’s Promise helps Alejandra lead us well. After international adoptions were closed in 2008, our home faced major challenges and our staff was forced to re-evaluate how we would care for children going forward. Two major factors influenced our decisions: the need to create a model for long-term care and the reality that we had to find a new way to fund our home. Many other homes closed during this time but we were committed to serving in Guatemala. We just needed to figure out how to serve. For the first seven years at Dorie’s Promise, children usually lived with us for less than a year. After international adoptions closed, we had to create a long-term model of care for our children, knowing that many children would stay with us until adulthood. We needed to start thinking about the needs of our children 5 and 10 years in the future. Very soon we would need to make decisions about schooling and helping older children as they transitioned to young adults. Without funds from adoptive families, our income was greatly reduced. As we planned for the future of Dorie’s Promise, our greatest concern was creating a budget without compromising the care our children received. In some ways, we got creative, like changing up our staff shifts, but other changes were hard. The most difficult decision was lowering the number of children in our home, meaning only 40 children would live at Dorie’s Promise. The first few years of transition were a time of learning and change in our home. Growing as an organization along with our growing children has not been easy. Caring for two homes of adolescents can be difficult, even more than homes full of babies. But, there are also amazing rewards. Alejandra cherishes opportunities to spend time with our oldest children—Aracely, Brayan, and Myra—listening to them talk about their dreams for the future and setting goals for their lives. Witnessing our first child graduate from high school and begin college was amazing. 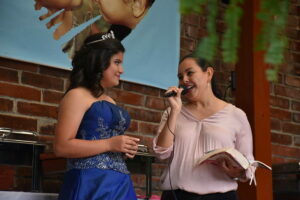 Watching our children mature and take steps toward adulthood reminds Alejandra of the purpose behind her work. Alejandra’s biggest challenge going forward is making the next transition with our children. As they near adulthood, she is laying the groundwork for their future and ensuring their support as young adults. The beginning of our “independent life program” is forming now. We are committed to providing a home, support, and educational opportunities to our children after high school. Alejandra is preparing to walk with our children on the path to becoming adults. Care for 20 more children at Dorie’s Promise. As we visit communities with our teams, we see children in need of a safe place. We want to help those children as well. Own our homes. Owning our homes will allow us to invest the rent funds into programs for more children and increase the number of children we help. Find specialized activities for all of our children. Although our children have opportunities to participate in many activities already, we want to encourage the unique gifts and talents of each child. Create Forever Changed International community centers. Through community centers, we will offer programs for at-risk families such as parental support, medical clinics, and programs to encourage and empower women. Investing in at-risk families allows us to actively engage in orphan prevention. 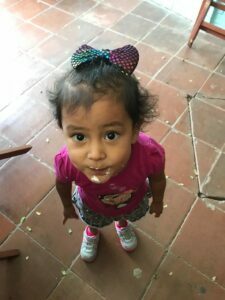 Alejandra’s vision depends on achieving our dream of 100% sponsorship. Establishing our “independent life program,” opening community centers, and carrying for even more children will happen when we reach this goal. Help Alejandra bring her vision for Dorie’s Promise to life by becoming a monthly sponsor. Already a sponsor? Thank you for believing in our mission and sharing our passion.